The best of the year's many surprises and shocks, from "BoJack Horseman" to "Westworld." Shocking TV comes in all shapes and sizes. Some shows build up twists for weeks and months (if not longer) while others dole out multiple surprises in every episode. There’s no perfect way to do it, and 2016 proved that. From addictive new series like “Westworld” to old veterans like “Game of Thrones,” the year’s most popular shows packed in a number of big moments. But even some of the series not known for pulling the rug out from under us got into the game. After all, twists are just a simple word to refer to the unexpected. And every drama out there thrives on the unknown, as one way or another we don’t want to know what’s coming. So we here at IndieWire have gathered 18 of the best shocking moments from a year full of them. Take a look at the gallery above, or click through to it here, and again we’ll warn you: There are spoilers in the descriptions, so be sure to steer clear of them if you’re worried about it. 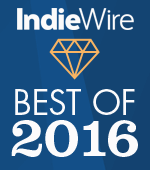 And if you enjoy this list, make sure to check out IndieWire’s Year in Review Bible. It’s where all our best lists of film and TV live, covering the year that was so we’ll always remember the most relevant aspects of 2016. Thanks for reading!